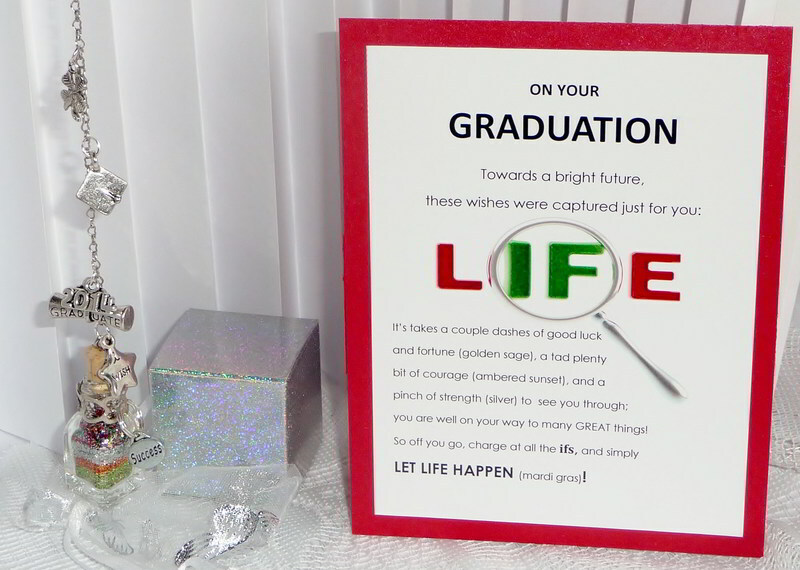 Special Graduation Gifts to Remember from Captured Wishes! Your child or relative only graduates once. Choosing just the right gift, something that's sentimental without being over the top AND special enough for them to keep is very tricky. Captured Wishes specializes in making the impossible possible. When you need a special gift that is ready to capture exactly what you're feeling, we're right here. We've done it for you with this precious wish vessel that comes complete with verses and a color key. All you need add is your love and signature. Makes the perfect in-car accessory for a new grad. Simply hang from the rear-view mirror! Watches, jewelry, a round-the-world ticket... what on earth do you buy for a grad these days? Especially if you're on a budget, it can be hard to find something meaningful and memorable. We've done it for you. Simply add your love and watch their face light up when they open this unique graduation gift idea. You don't need anything else -- Captured Wishes comes fully packaged and complete, ready to go. The bottle (30mm height including cork x 10mm wide) contains carefully layered Fairy Dust, explained in the verse card and eloquently weaved in the passage. This is a complete package - so personal, yet so easy. Arrives with verse card, gift box, and the wish vessel. It's ready to gift!